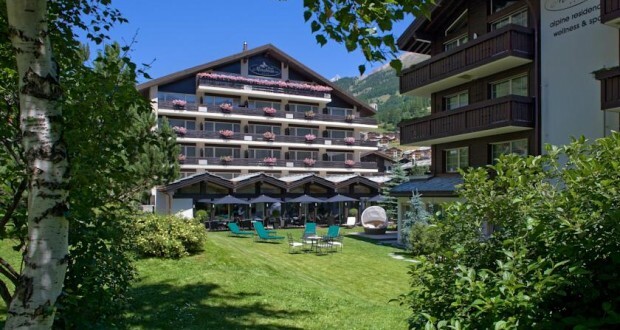 The Mirabeau Hotel & Residence is tranquilly situated, only 220 yards from the Zermatt train station, and features superb spa facilities and great Matterhorn views. Within only a 3-minute walk you can reach the center of Zermatt as well as the Gornergrat and Sunnegga-Rothorn train and cable car stations. Enjoy the mountain-flower steam bath, the sauna, the hot-stone herbal bath and indulge in relaxing massages and rejuvenation beauty treatments (It is recommended to reserve treatments before arrival). The Michelin and Gault Millau gourmet guides also feature the Mirabeau hotel’s restaurants. The restaurants serve light, market-fresh cuisine and every morning you can start the day at the rich breakfast buffet. Treat yourself to the 5-course gourmet dinner or to one of the themed evenings with hot and cold buffets. Wireless internet is available in the entire Mirabeau Hotel & Residence free of charge.